Whether you're simply using it to store contacts and phone numbers, make or take phone calls, play games, movies or other media, Android phones definitely provide the complete functionality and dependability you need for both laid-back lifestyles and on-the-go hectic schedules. At present, the market for Android phones continues to grow and expand in significant proportions. Each brand, design or model boasts various features and specs derived from the latest technological advancements and breakthroughs the world is harnessing today. This pointed out, electronic gadgets that exist at present definitely isn't something for simple storage of phone number and customer service number or for basic phone calling activities. They are bred and engineered to accommodate the ever-evolving needs and demands of consumers and mobile phone users. 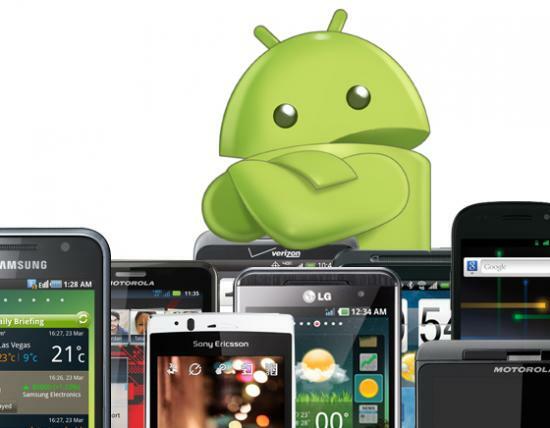 Here are the top 10 Android phones to invest in for 2012. Number one in our lists is Samsung's Galaxy Nexus. At present date, the brand and model is the best Android phone on the market. It is designed with dazzling and impressive curved display, sleek design and styling, fast and efficient performance, and an Ice Cream Sandwich update. Number two is another Samsung innovation - the Samsung Epic Touch 4G. The Android phone is designed in ultra-thin yet speedy and dynamic performance that is second to none in terms of gaming, web browsing and video streaming. Although some clients and reviews aren't shy to voice out their opinions about the plastic-like design and style that is seemingly cheap, the Android phone is definitely a powerful and useful device to have on your pocket. Number three is from HTC - the Evo 3D. Though the phone renders uneven call quality depending on the location and service plan that the individual employs, the HTC Evo 3D is still a top player from the vast Android market. On the number four spot is HTC Rezound. Superior performance, stylish design, substantial connectivity ports and multifunctional layout are only a few of the attributes that are dished out by HTC's Rezound. If you can surmise the fact that the phone only has generic battery life, the Rezound is an exceptional phone that won't make you feel outdated in the future. T-Mobile My Touch 4G Slide covers our number five slot. The phone renders one of the most dynamic cameras that has ever been tried and tested. Still, the rest of the phone's features and capabilities are also substantially good as well. For number six to ten for the best Android phones of 2012, you have the Samsung Galaxy S II from T-Mobile, the Motorola DROID RAZR MAXX, Motorola Droid Razr, Motorola Droid Bionic and the Samsung Galaxy S II from AT&T.